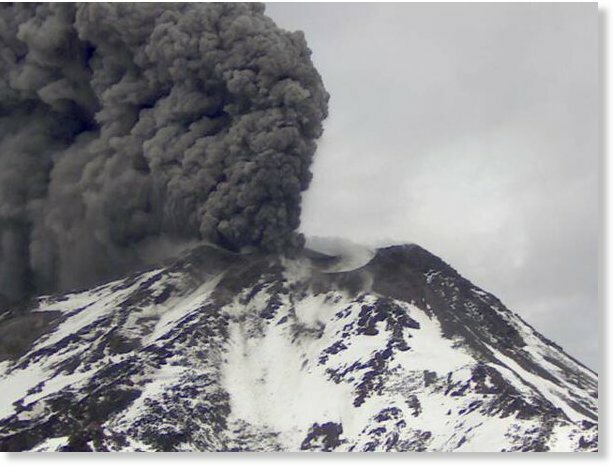 An eruption on Tuesday at the Chillan volcano in central Chile was followed by more than 700 minor earthquakes, authorities said. A yellow alert remains in effect for communities near Chillan, located some 417 kilometers (259 miles) south of Santiago. Sixty-seven of the 761 temblors that followed the latest eruption were classified as volcano-tectonic events involving a movement of magma, Chile's geological service said. The active phase Chillan entered a year ago looks likely to continue, the National Emergency Office said, prompting officials to maintain an exclusion within a 3-kilometer radius from the craters.